The wine rack Esigo 5 Esigo by Sanpatrignano is a wooden wine rack, the wine bookcase in the ESPerience by Sanpatrignano Version. 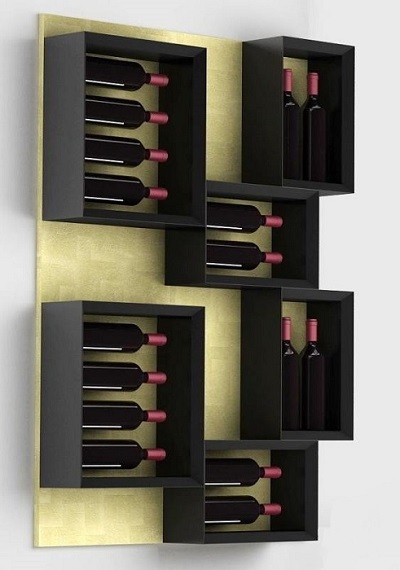 Esigo 5 ESP wooden wall-mounted wine rack is the wooden wall mounted wine rack, which can be used for bottles, but also for other accessories that testify your passion for wine and lead you to choose special glasses, decanters, books and many other objects. Esigo 5 ESPerience, a wine rack which is beautiful even more so, absolutely breathtaking.